Share your track log and get entered to win a $200 Sporty’s Gift Card! Stratus is the most powerful ADS-B receiver you can buy, delivering in-flight weather, traffic, GPS position, and backup attitude to ForeFlight. Stratus also includes a flight data recorder, which automatically logs all of your flights, complete with GPS position and attitude. These track logs are a great way to review a training flight or relive a memorable trip, and can be viewed on ForeFlight’s website or in the CloudAhoy app. Now your track logs could win you a $200 Sporty’s Gift Card and other prizes. Just share your most interesting flight with us: your first solo, a flight to Oshkosh, the perfect S-turn, a unique instrument approach, or whatever else you found memorable. Sporty's is well-known for offering the finest pilot supplies, and you probably also know about our video training courses. But did you know that our team of app developers has released over 30 aviation apps? Here are some stats from the last year, plus a look at all the different options we offer. SiriusXM's new aviation receiver, the SXAR1, is an affordable way to add high quality weather to your iPad. One of the major differences between the SXAR1 and ADS-B receivers like the Stratus is that SiriusXM weather is delivered by satellites, so it's available at all altitudes and all across the United States. That means it requires a subscription, but most pilots don't know that SiriusXM offers some flexible subscription plans. Here are some options to consider. The iPad is a reliable and easy-to-use addition to the cockpit, perfect for charts, moving maps and even in-flight weather. But there's a lot to understand to make sure you're getting the most out of your investment. 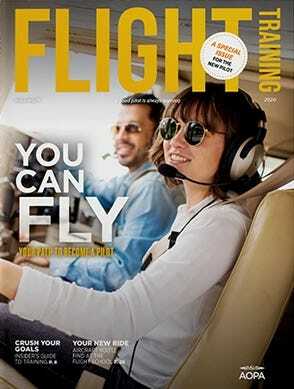 Over the past several years, we've learned a lot through trial and error flying with the iPad in general aviation aircraft, and have assembled our top 12 tips. ForeFlight’s Synthetic Vision is a visually stunning and high-performance hazard awareness capability for iPad. Fly with more confidence in all conditions and terrain. When paired with Stratus 2S, ForeFlight’s Synthetic Vision becomes an affordable backup attitude system.